Below here is a copy of the standard Shanghai pool table rules as applied in the Shanghai league. IMHO, these are the best rules for amateur play. This document outlines the basic requirements and steps required to open a Wholly Owned Foreign Entity (WOFE) in China. The legal definition is Limited Liability Company (有限责任公司). Attached here is a list of Chinese Idioms (or 成语) that will be available in the iHanzi flashcard app for iPhone. Have I missed any more common and important? Perhaps made a character, pinyin or definition mistake? In Taiwan they have the TOFCL test or as it is officially named: Test Of Chinese as a Foreign Language. (http://www.tw.org/tocfl/) which is Taiwan’s national standardized test for Chinese language proficiency. 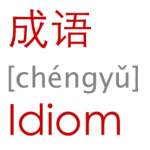 I’m populating the HSK Levels with definitions from Popup Chinese, Lingomi and CC-DICT. In the attached Excel file the levels 1-3 are now complete. This is ‘only’ 600 of the 5000 words that I need to do but it is at least a start. Are you studying for the Hanyu Shuiping Kaoshi or Chinese proficiency test? Here is a complete listing of all vocabulary of the New Hanban 6 levels. The original vocabulary lists show hanzi and pinyin (accented without word space) only. The English definitions are left out. My Wife has an iPhone 3G 2nd Generation phone and it has been starting to act a little slow lately. That’s why I thought I’d backup and restore it. As you probably know, the restore will also update the phone to the latest software version these days. How to best attract and retain China’s 八零後 (bā líng hòu) and 九零後 (jiǔ ling hòu) generations?